A Limited Liability Partnership is a hybrid between a partnership and a limited company formed under the Limited Liability Partnerships Act 2000, and regulations made under that Act. Many provisions of the Companies Act 2006 also apply to LLPs. LLPs have been available in the UK since April 6th. 2001 when the Limited Liability Partnerships Act 2000 came into effect. Various Limited Liability Partnerships Regulations supplement the provisions of the Act. A Limited Liability Partnership (LLP), like a limited company, is a separate legal entity conferring full limited liability on its members. It is created by registration at Companies House. There must be at least two members, but there is no upper limit. At least two of the members must be named as 'designated members', who accept responsibility for sending information to Companies House for registration, etc. An LLP is subject to a very similar regime as a limited company as to the registration of information at Companies House, including annual returns, accounts and the auditing of its accounts. The same exemptions from these requirements are available. The Act does not impose a structure for the management of an LLP. There are no statutory provisions for general meetings, directors, company secretary, share allotments, etc. As with a common law partnership, these are matters for the LLP agreement. There is no statutory requirement to register (or even to have) a written LLP agreement, but such an agreement is essential in practice. Implied terms, which apply in the absence of agreement to the contrary, are set out in the Limited Liability Partnerships Regulations 2001 (see below). When Incorporation Services registers an LLP provides an LLP agreement as part of the standard service. Company Law Solutions can draft bespoke LLP agreements. The LLP is treated for most tax purposes as an ordinary partnership: i.e. each partner is liable to income tax under for his or her share of the profits, and to Capital Gains Tax in respect of any gains made on the disposal of partnership assets. An LLP is registered at Companies House in much the same way as a limited company. Most LLPs are now registered on-line. 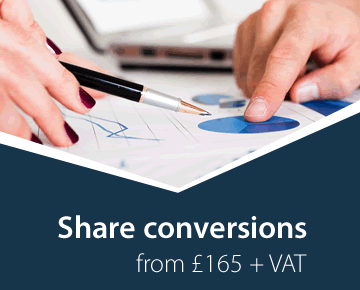 Typical costs using a reputable company registration agent are much the same as for a private company limited by shares, in the region of £50 to £150, depending on the level of service. Incorporation Services Limited registers Limited Liability Partnerships. The identities of the designated members. It is not necessary to register a copy of the partnership agreement or other constitution. In practice a limited liability partnership agreement is essential. See below. Companies House issues a certificate of incorporation. Essentially the rules are the same as those that apply to limited company names, except that the name must end with the words "Limited Liability Partnership" or the letters "LLP" (or their Welsh equivalents. The rules on registered offices for limited liability partnerships are also the same as for companies. An LLP is a body corporate with legal personality separate from that of its members. It has unlimited capacity. The members of an LLP have limited liability, but this is subject to sec15, which allows regulations to be made to apply any law relating to companies to LLPs. These extend various provisions in the Companies Acts, the Company Directors Liability Act and the Insolvency Acts to LLPs, so that the members of an LLP may lose their limited liability in the same circumstances as apply to company directors. For example, the members may be made liable for wrongful trading or fraudulent trading. The partners in an LLP are called members. The minimum number is two, there is no maximum number. The members may be individuals or companies. By s. 8, each LLP must have at least two 'designated members', who are responsible for sending documents to Companies House for registration, etc. If Companies House is not notified of the identities of the designated members, all the members are designated members (s. 8(2)). The designated members may be changed from time to time by notification on the prescribed form. The Act itself does not specify the purpose of these designated members but the regulations that apply the provisions of the Companies Acts to LLPs make the designated members the persons who are responsible for compliance with the various registration requirements, etc. The initial members of the LLP are notified to Companies House on the forms sent on registration. New members of the LLP can be introduced by agreement with the existing members. A person may cease to be a member in accordance with any agreement with the other members or, subject to such agreement, can resign by giving reasonable notice. A member of an LLP cannot generally also be an employee of the firm. 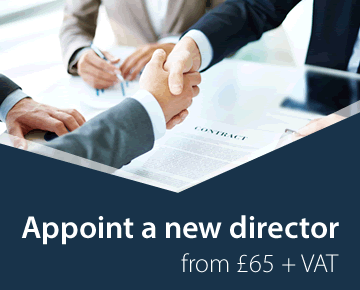 All changes in to members of the LLP, and the identity of designated members, must be notified to Companies House on the prescribed form. S. 5 provides that the mutual rights and duties of members of an LLP and those of the LLP itself are governed by agreement between the members, or between the LLP and its members. Such agreement can be made before incorporation of the LLP and made binding on it on incorporation: s. 5(2). In the absence of such agreement, the relationship between the members of the LLP and the LLP itself is governed by the default provisions in the LLP Regulations. These are broadly the equivalent of the implied terms in s. 24 of the Partnership Act 1890. All the members are entitled to share equally in the capital and profits of the LLP. (b) in or about anything necessarily done for the preservation of the business or property of the LLP. Every member may take part in the management of the LLP. No member shall be entitled to remuneration for acting in the business or management of the LLP. No person may be introduced as a member or voluntarily assign an interest in an LLP without the consent of all existing members. Any difference arising as to ordinary matters connected with the business of the LLP may be decided by a majority of the members, but no change may be made in the nature of the business of the LLP without the consent of all members. The books and records of the LLP are to be made available for inspection at the registered office of the LLP (or at such other place as the members think fit) and every member of the LLP may when he thinks fit have access to and inspect and copy any of them. Each member shall render true accounts and full information of all things affecting LLP to any member or his legal representative. If a member, without the consent of the LLP, carries on any business of the same nature as and competing with the LLP, he must account for and pay over to the LLP all profits made by him in that business. Every member must account to the LLP for any benefit derived by him without the consent of the LLP from any transaction concerning the LLP, or from any use by him of the LLP property, name or business connection. No majority of the members of an LLP can expel any member unless a power to do so has been conferred by express agreement between the members. S. 6 of the LLP Act follows closely the wording of s. 5 of the Partnership Act 1890 by providing that every member is an agent of the LLP. The LLP is not bound by anything done by a member who had no authority to act if the person he is dealing with either knows that fact, or does not know or believe him to be a member. S. 6 (3) covers the situation where a person ceases to be a member of an LLP. A person dealing with the LLP can regard the ex-member as still being a member unless he has had notice of the fact, or the cessation of membership has been notified to Companies House. An LLP is a corporate body, and at common law its members owe fiduciary duties to it, even though this is not expressly set out in the legislation. It is unclear whether, without express statutory provision, the members of an LLP owe a duty of good faith to each other. These should be included in the firm's limited liability partnership agreement. There are no provisions in the Limited Liability Partnerships Act 2000, or in the LLP Regulations for the calling and holding of LLP meetings, as one of the main intentions of the legislation is to provide freedom for members of an LLP to arrange their internal affairs. One of the advantages of the LLP for small businesses is the simplicity of the legislation. In a limited company there is a complex legal regime, originally designed for large companies, under which some decisions have to be made by the directors, but others must be effected by the right type of resolution (ordinary, special, etc.) by the general meeting. No such structure is imposed on the LLP. On the other hand, the lack of such a structure, and the fact that there is no equivalent of the Model Articles to provide a standard set of rules, make it essential that a limited liability partnership agreement is drawn up. An LLP is subject to the same rules as a private limited company for the registration of accounts at Companies House, and the auditing of its accounts. An LLP must submit an annual return under much the same regime as applies to companies. An LLP is treated for most tax purposes as an ordinary partnership: i.e. each partner is liable to income tax for his or her share of the profits, and to Capital Gains Tax in respect of any gains made on the disposal of partnership assets. Note that the Company Law Club website does not deal with matters of taxation generally. The LLP Act does not require a limited partnership agreement to be registered at Companies House. This has the advantage that its terms are not made public. On the other hand, there is a danger that this will tempt people to register as LLPs without having a suitable LLP agreement. As there is no equivalent document to the Model Articles (which provides standard articles for a company limited by shares), the firm and its members will have only the implied terms from the LLP regulations (set out above) to govern the relationship between them and the LLP itself. These will rarely be adequate and in some cases will be entirely unsuitable. An LLP agreement can be as simple or as complex as required by the circumstances. There are some very large professional practices which are LLPs having very complex agreements. Most LLP agreements will resemble in many respects the well-established standard partnership agreement. When devising such an agreement, however, it will be important to remember that an LLP is a separate legal entity and that the members of it have limited liability. 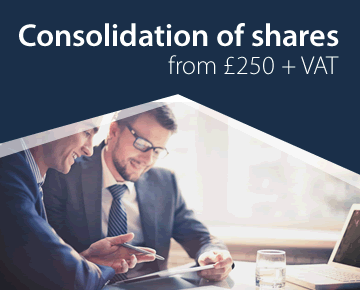 At Incorporation Services Limited we have devised a standard form of limited liability partnership agreement, which will be suitable for most straightforward trading LLPs, and which we provide as part of our standard LLP registration package. Just as with our standard articles of association for a private limited company, it should be amended or added to as required by the particular circumstances. Because it has been devised as an off-the-shelf document, some of the features of the LLP agreement are really quite different from those usually found in a standard partnership agreement. For example, there is no statement of the partners' capital contributions to the firm, because in many circumstances there will be none. The agreement provides for the firm to be owned by the members in certain proportions. There is no expulsion provision. Members who wish to leave are required to give three months' notice and their share can then be bought out by the other members. Company Law Solutions can draft a more individual and complex form of LLP agreement, either in place of the standard agreement on registration of the LLP, or for adoption at any time later in the life of the firm. To convert an existing partnership to an LLP it will be necessary to follow a similar process as the conversion of a sole trader or partnership business to a limited company. The LLP will have to be registered and a date fixed for it to take over the existing business. There will have to be a transfer of assets from the partners to the LLP, but LLPA 2000, s.12 provides that stamp duty is not chargeable on that transfer if the members of the LLP are the same as the original partners, and they hold the assets in the same proportions (or different proportions provided this is not to avoid liability to tax or stamp duty). There are no provisions in the Act for the conversion of an LLP to a limited company or vice versa, which seems to be unfortunate. In practice, the conversion can be achieved by setting up the new entity and transferring the business to it. It will be possible to register the new entity (whether company or LLP) in the name of the existing one, by undertaking a simultaneous name change. There would then have to be a transfer of assets from the old entity to the new one. Company Law Solutions can provide a comprehensive service for conversion from an LLP to a company or a company to an LLP. Incorporation Services Limited can register your LLP. For further details email us or telephone 0191 223 6767.